Sixteen-year-old Moe's Shoplifters Anonymous meetings are usually punctuated by the snores of an old man and the whining of the world's unhappiest housewife. Until the day that Tabitha Foster and Elodie Shaw walk in. Tabitha has just about everything she wants: money, friends, popularity, a hot boyfriend who worships her...and clearly a yen for stealing. So does Elodie, who, despite her goodie-two-shoes attitude pretty much has "klepto" written across her forehead in indelible marker. But both of them are nothing compared to Moe, a bad girl with an even worse reputation. Tabitha, Elodie, and Moe: a beauty queen, a wallflower, and a burnout-a more unlikely trio high school has rarely seen. And yet, when Tabitha challenges them to a steal-off, so begins a strange alliance linked by the thrill of stealing and the reasons that spawn it. 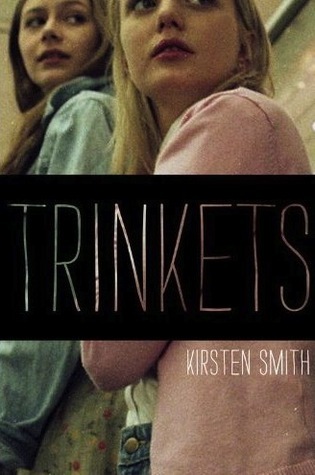 Hollywood screenwriter Kirsten Smith tells this story from multiple perspectives with humor and warmth as three very different girls who are supposed to be learning the steps to recovery end up learning the rules of friendship.